This post includes affiliate links that we may receive a commission from, at no extra cost to you. What do you know about Spain? It’s easy to get to know only the tourist side of the country, or what the world in general loves about its culture. And why not? It’s one of the world’s most popular and healthiest countries to live in and visit. But what if there’s more to Spain that you, and our world, need to know? What if Spain needs you to know it better? When visiting or living here, maybe you’ve sensed that the country has more of a story to tell, whether it’s in a stunning work of street art you see, a different flag hanging on a balcony, or even overhearing a passionate debate between locals. A lot of people don’t realize that there is something about Spain that is important for us to know, and it’s about Spain’s recent history of the Spanish Civil War. April 1, 2019, is the 80th anniversary of the end of that war, and how it is still affecting the people of Spain is deeply embedded in many of the country’s current issues. Yet why should us as visitors or expats in Spain, learn about the Spanish Civil War? Isn’t this after all their own story? 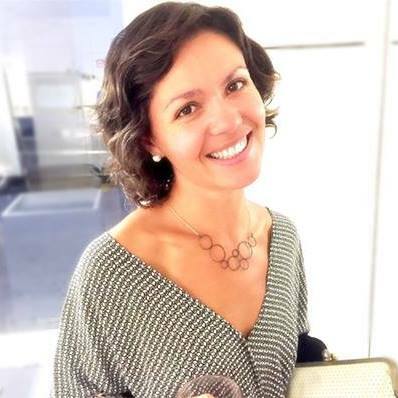 Learn why from various people I interviewed, from an international journalist to an American expat, local Spaniards, Catalonians, and more. Above Image – The entrance to the Castle of Denia. If you have an interest in Spain, or especially if you love history, it is likely that you’ve heard of the Spanish Civil War. And if you haven’t, that’s ok too. Outside of Spain, and even within, the event is not taught in depth, or at all. It can be overshadowed by the more widely taught subjects of World War I and World War II. Today, there is still a tension throughout the country around this subject. When I first lived in Spain for a year in 2012, I remember bringing up the subject with locals and either they would not want to talk about it, or they would say, it is only a matter of time before Spaniards start killing each other again. I know… really heavy, and not a positive expectation in the least. Most of us who are not originally from Spain would find it hard to imagine that sentiment existing among its people. To better understand it, we need to learn what the Spanish people have been through and how they feel about it today. The controversy of this topic today especially centers on whether or not it is good to open up old wounds. And the fear-inspired reason is that doing so will lead to another civil war and more killing. While that sentiment is agreed with mostly by those on the winning side, there are some on the losing side who feel similar, whether it’s due to how they deal with their loss or that their fear is still so great. This fear continues to be felt by those who today in Spain are grandmothers and grandfathers, who lived through the Spanish Civil War. 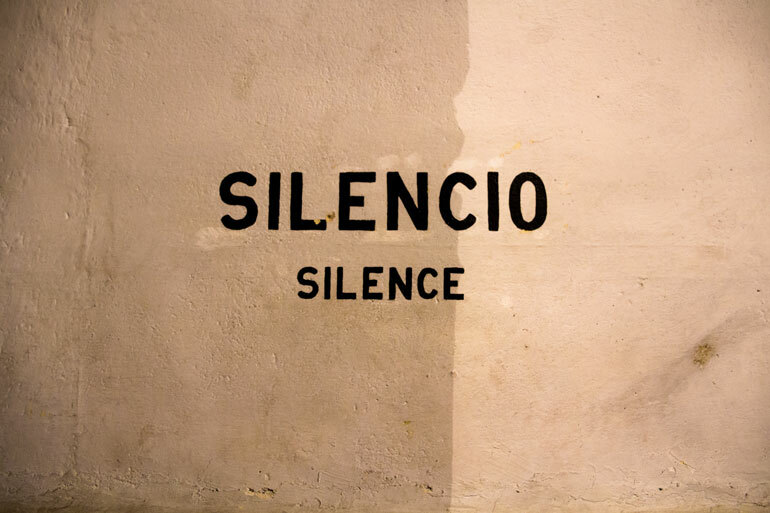 But to still live with such fear of speaking out and looking into the past, comes especially from the decades of post-war oppression under the Franco regime. Even after his death, it continues on a legal basis through things like the Amnesty Law of 1977, which is known as ‘el pacto de olvido’, the pact of forgetting. As part of the transition to democracy, this provided amnesty to all Francoist aids and officials. Madrid-based international journalist, Lucas Laursen, discusses with me his interviews conducted for the BBC Radio Series “Spain’s Lost Generations”. “Every family you talk to has some kind of connection one way or another… that first generation, the ones who actually lived through the war, and the immediate post-war years came away with a lot of fear and a fear that makes it really hard to carry on a normal conversation about it… I think the next generation inherited a lot of that, although maybe they were a little bit more independent, a little more disconnected from the actual war, even though they may have lived with the dictatorship. My intercambio partner in Denia, Yolanda, shared with me one of her distinct memories of growing up under the Franco dictatorship. She was five years old and walking with her grandmother through the town and she was happy and singing, but it was the day that Franco had died and her grandmother told her to be quiet and that she shouldn’t look happy. Yolanda realized even then that her grandmother and others were afraid. They were used to such social control and censorship, and weren’t sure what was going to happen next. She says that only in recent years is Spain finally catching up, whereas even as an adult, everything socially influential was not allowed or came late to Spain, from movies to music and news. Above Image – To the far right is the entrance to the tunnel under the Denia Castle, which was a bomb shelter during the Spanish Civil War. I asked Mickey Neeley, an American expat in Denia, Spain, what he knew about the Spanish Civil War before recently moving here. It makes sense that visitors to Spain may not encounter anything about the Spanish Civil War, but most likely it’s that they’re not aware of it when they do. Many may not have a background of it and the focus of being here is to be on vacation. Yet once someone is living in Spain, like Neeley continues to share, it is something that is hard to miss and that you naturally begin learning about because it appears in your every day life. 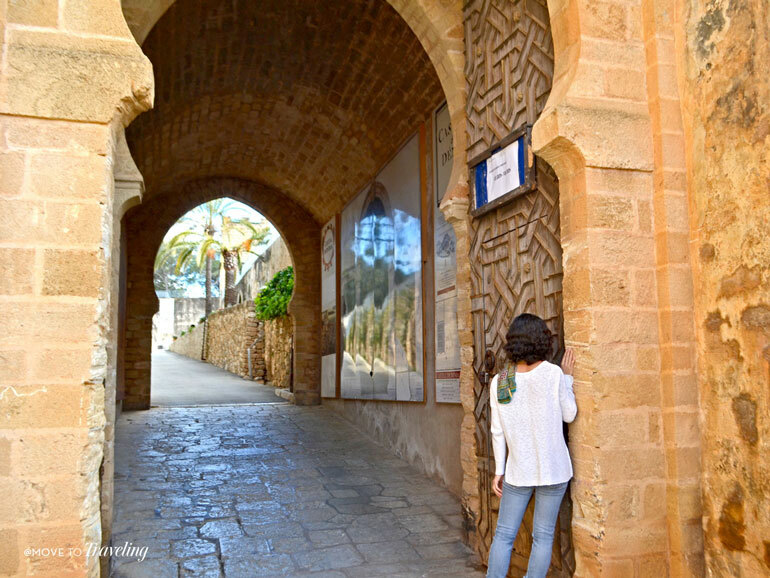 “My interest was piqued the first time I exited the tunnel under the castle in our new home town of Denia. I noticed a sign indicating the tunnel was a bomb shelter during the civil war. That immediately moved the war from an abstract concept to the here-and-now. I’ve also been following the controversy around the exhumation of Franco in the El País newspaper. There have recently been articles in international news sites (New York Times, BBC, etc) about atrocities that haven’t been fully exposed and how the descendants of the victims are trying to bring light to the horrors of the civil war. I found a British history series on YouTube from the 80’s that provided an in-depth and pretty balanced history of the war and all of its tragedy and complexity. Then there are those of us, like myself, who have dual nationality and are part Spanish. While the details of our situations vary, we share family ties to the Spanish Civil War and yet grew up with the strong influence of another country. 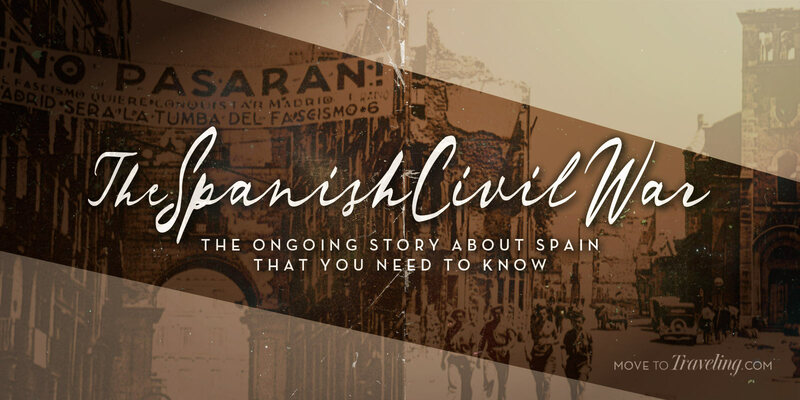 Again Lucas Laursen, who is also Spanish and American, shares his insight, this time into why visitors and expats should learn about the Spanish Civil War. “… sometimes we travel because we want to escape the burdens of daily life on a vacation and you want to hang out on the beach… and that’s on the entertainment side of the column. Then there’s the learning and education, getting to know the world side of the column, that part you don’t really want to miss out on, understanding the history of the places you’re going to. 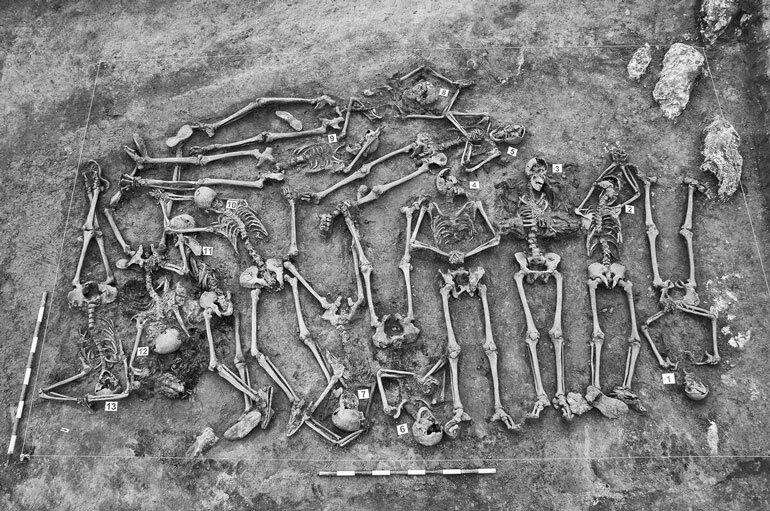 Above Image – In the mass grave of La Mazorra in Burgos, the remains of thirteen victims were recovered. Read more in Narratively’s article, ‘Chasing the Ghosts of Franco‘, a photographic essay by Alvaro Minguito. Today, the Spanish Civil War is being literally ‘dug up’ after decades of oppression. 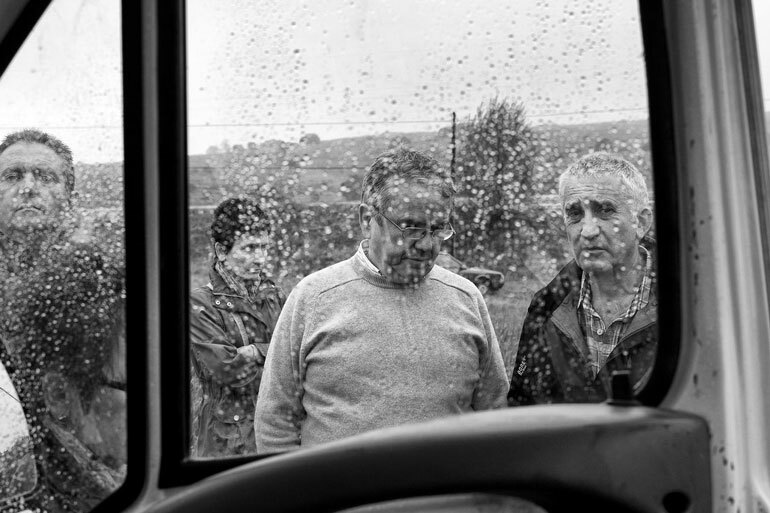 It was in 2000 that Emilio Silva went in search of his grandfather, who had died in the war. The unmarked grave where they found his remains turned out to be a mass grave, which gave rise to the need for further investigation. From this, Silva founded the Association for the Recovery of Historical Memory (ARHM). They continue to exhume unmarked graves, investigating the past and helping families find and exhume the remains of their loved ones. While there are more in-depth explanations as to what caused countryman to turn against fellow countryman in the war, Spain today is dealing with the issue of transparency and reparations for those who were on the loosing side, and for their descendants. What is being heard from those who have experienced injustices from the war, is not a call for war trials. They are speaking out for their right to know what happened to their loved ones, and for the needed support in exhuming remains to give them a proper burial. Since the founding of the ARHM, most families have experienced, and still do, serious opposition from local governments, for example in small towns. Long-held sentiments on both sides have festered in the silence and families wanting to bury their loved ones in a local cemetery with the rest of their family, are being denied this. Lucas Laursen first encountered the Spanish Civil War when he was a young boy of 8 or so. Playing with his cousins near a relative’s house on the western outskirts of Madrid, they came across an old bunker. Since then, he discovered trenches in the sierra above El Escorial when hiking with his father, and in 2011 he visited one of the sites where the ARHM were exhuming remains of a mass grave. “That was my first really close up encounter, where you’re seeing bones of people who were shot in the war. You’re seeing a bullet hole through the skull, you’re seeing rubber soles still stuck to the foot bone, you’re seeing a little crucifix in the dirt. You know you got to understand that sort of political history because that ripples right through every generation since then. We’ve only just had the first elections in 2015 and 16 where leaders of major parties were born in democracy. So really, if you think about it we’re just now starting to get into the part of Spanish history where people were born after the dictatorship and are now in political roles. What do You Know About the Spanish Civil War? 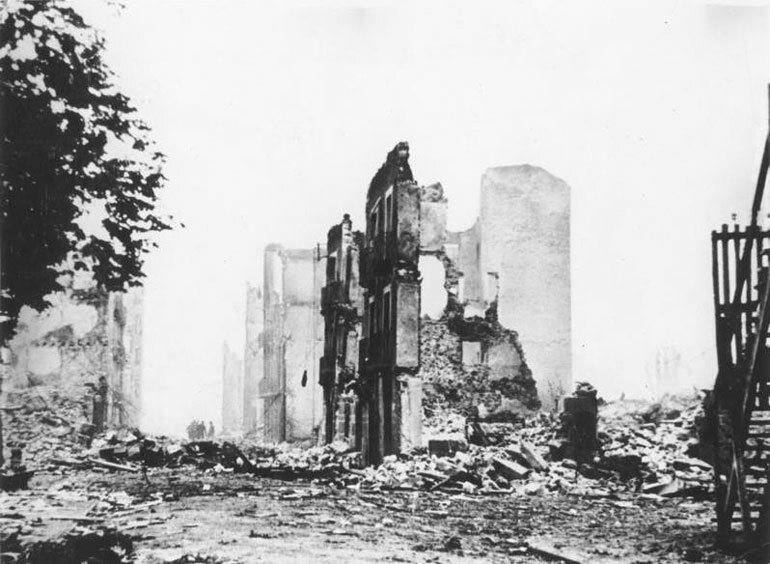 Above Image – Guernica after being bombed. Maybe up until now, you didn’t know anything about the Spanish Civil War, but chances are you’ve heard about it from Ernest Hemingway. He was a passionate advocate for the Republican side, covered the war as a reporter, and his most famous novel, For Whom the Bell Tolls is set during the war. Or you’ve most likely heard of Pablo Picasso and his renown painting Guernica, which was based on the bombing of Guernica. An aerial bombing authorized by the Nationalist party, it was one of the worst atrocities of the war that killed several hundred civilians and was carried out by the Nazi German Luftwaffe’s Condor Legion and Italian Fascist group Aviazione Legionaria. It was literally a testing ground for incendiary bombs, which were later used in WWII. Among those whom I interviewed for this article, is Rosa Seser Perez, Director of the Municipal Archives in Denia, Spain. She provides a concise summary of the war. “In a very summarized way: the Civil War was produced by a military coup against the democratic government of the Second Spanish Republic. The triumph of the coalition of parties of ideology of lefts, known as the Popular Front, led to the military uprising, supported by the fascist governments of Hitler (Germany) and Mussolini (Italy). … the country was divided into two zones, loyal to the republican government and occupied by the military with General Franco in front. The democratic powers, France and England, did not lend aid to the Spanish Republic that ended up resorting to the support of the USSR. Above Image – Franco (right) meeting Hitler (left) in 1940. Photo credit to WW2inColor.com. Essentially, the Spanish Civil War was a fight between Fascism and Democracy. There were the Nacionales (Nationalists), who were made up of Falangists, Monarchists and Catholics. Those loyal to the Spanish Republic were the Republicans, and they joined forces with the Anarchists and Communists to fight for Democracy. But, as Rosa explains, Fascism won and the Nationalist party went on to rule Spain under the dictatorship of General Francisco Franco until his death in November of 1975. For many of us coming from western countries, this is surprising, especially because of the political alliances that Franco had with Hitler and Mussolini (and that continued during WWII). It continues to raise questions about what influence the Spanish Civil War had on World War II, and can turn to comparisons between post-WWII reparations and how Spain should be dealing with the unaddressed effects of the Spanish Civil War today. The war is especially known for the division it caused between families and the atrocities carried out by the Nationalist Party even into post-war years. While atrocities were committed on both sides, many historians share the view that the mass executions carried out by the Nationalists were organized and approved by the party authorities, while the executions carried out by the Republicans were the result of anarchy and the breakdown of the Republican State. But what many people don’t know is that the Spanish Civil War is also considered to have been a prelude to WWII. Franco received support from Nazi Germany and Fascist Italy, while neighboring democratic countries and the US chose a stance of non-intervention. Still, tens of thousands of international volunteers joined the Republican party, and were known as the International Brigade. Within that brigade was the Abraham Lincoln Brigade, which was composed of American volunteers. 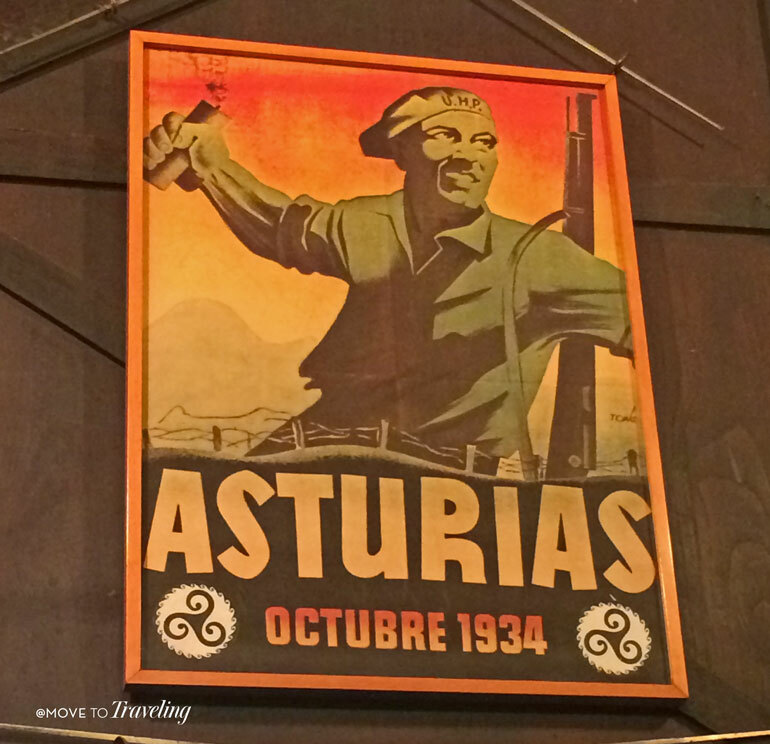 Above Image – A Spanish Civil War poster we saw in a pub in Oviedo, Asturias. 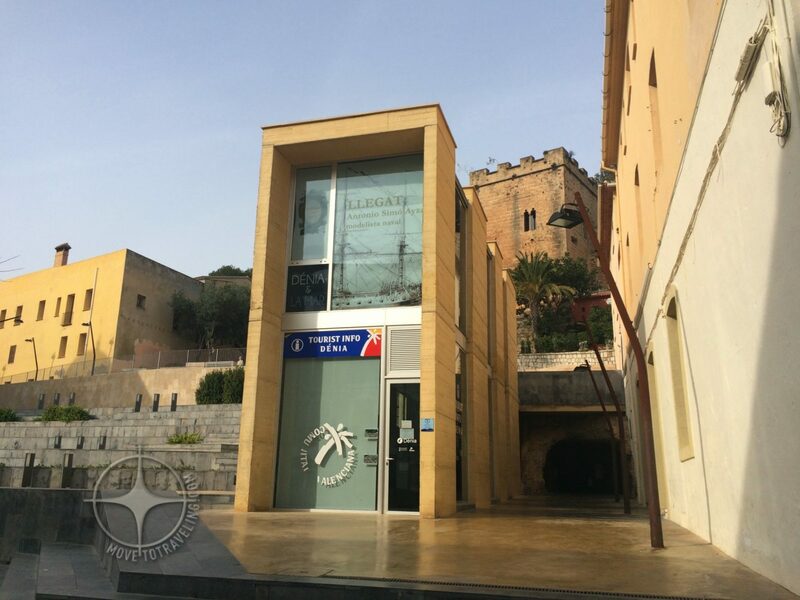 Catalan and Spaniard, Miquel Serrano is a historian and curator at the Museu Memorial de l’Exili. He shares with us about how the Spanish Civil War is still affecting him and others today. “I understand that it affects the whole society, whether or not they are aware of it. 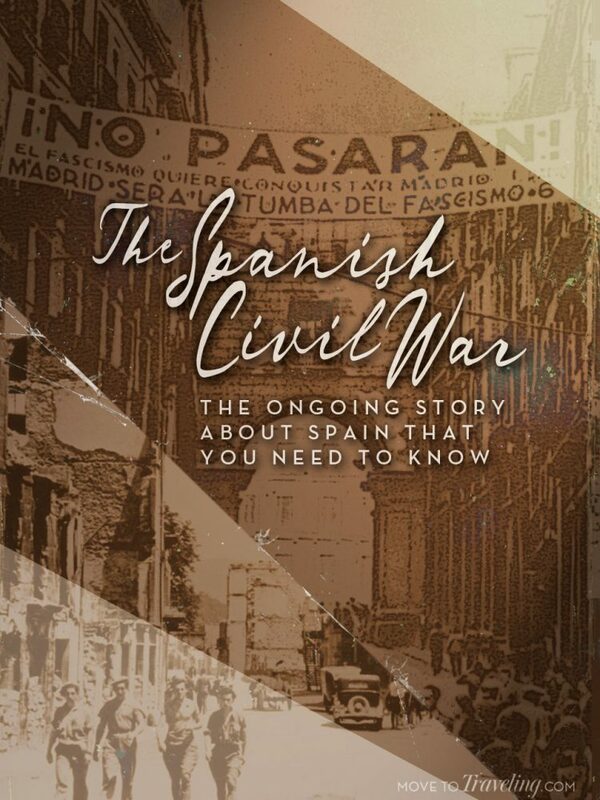 The Civil War is the most transcendental historical episode of the twentieth century in Spain and one of the direct antecedents of the context that ends up in the Second World War, which can also be understood, partially, as a European civil war. Particularly it affects me because it is the base and the starting point of my work of documentation, recovery, promotion, diffusion and dignification of the memory of the exiles caused by the Spanish Civil War. 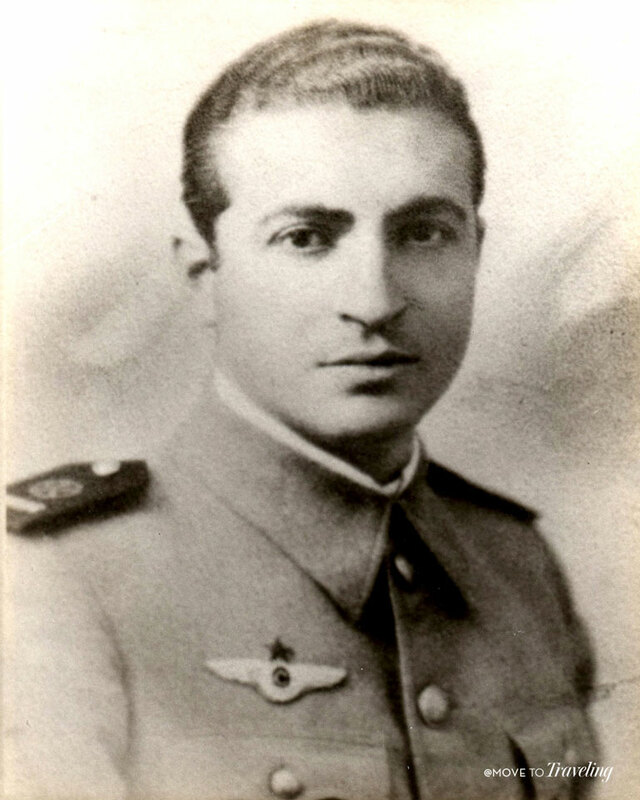 Above Image – My grandfather, who fought for the Republicans and was exiled from Spain. Serrano’s mention of the mass exodus from Catalonia into France, also brings up the issue of the hundreds of thousands who became refugees. Many of these people were forever exiled to countries such as France, Mexico, the Caribbean and throughout Latin America. My own grandfather, who was from Asturias in the north of Spain, fought in the Spanish Civil War on the Republican side. Towards the end, he was captured by enemy forces and spent some months in a concentration camp that was in the Pyrenees Mountains, along the Spanish/French border. After escaping, he was able to board a boat and went into exile in the Dominican Republic. It was there that he spent the rest of his life. Recently, more findings have uncovered that throughout Spain the Franco regime created nearly 300 concentration camps, which is double what was originally suspected. Even more shocking, is that these camps existed from 1936 – 1959. Throughout Spain, the Spanish Civil War is a fresh wound. And while there is opposition between two still-existing sides, progress is being made. When the ARHM (Association for Recovery of Historical Memory) first began demanding of the government to allow access to military archives and funding for exhuming bodies in mass graves, the right-wing PP government party at that time did nothing. So the ARHM took their requests to the UN, who in 2002 put Spain on a list of countries who still need to solve cases of disappearing persons. Since then, 2006 was declared the “Year of Historical Memory” and in 2007 the Law of Historical Memory was put into effect. Along with making the Ministry of Justice responsible for investigating crimes of abuse and torture during the Franco-era, it also encourages Spain’s local and regional governments to finance the exhumation and reburial of the victims found in war graves. This law also provided the opportunity for descendants of exiles of the war, to apply for Spanish Nationality. It was through this process that my younger brothers and I have Spanish Nationality today. 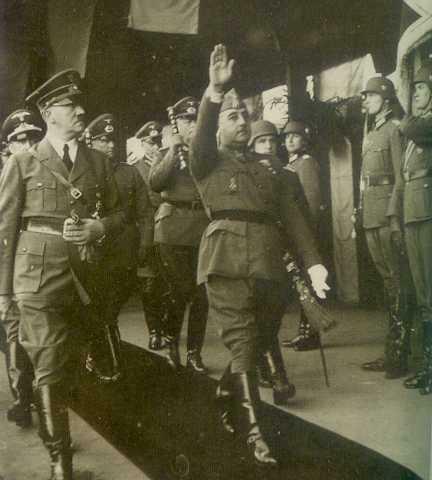 As of last year, Spain’s most recent government is planning to establish a truth commission to investigate Franco-era crimes. For some years leading to this, several cases of crimes against humanity have been charged against Spain by international courts. Spaniards have had to seek this legal aid internationally, since under the current Amnesty Law of 1977 those involved in the crimes have impunity. 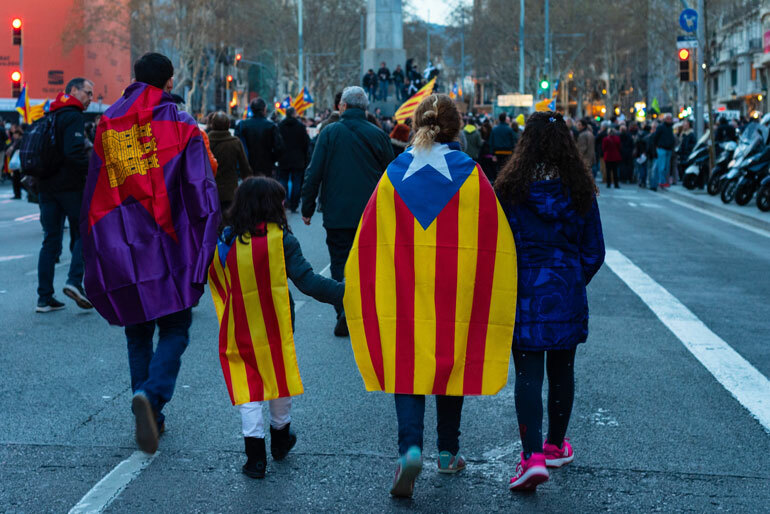 A family joins a Catalan Independence protest in Barcelona. I asked Miquel Serranos what he thinks about the current political approach to the Spanish Civil War. “I understand that as a society, we owe a debt to the recognition of the victims of the war who were silenced and marginalized during the dictatorship and the transition. The Spanish state, through its governments (regardless of its political color) should work on a minimum of lines linked to the memorial policy regarding the consequences of the Civil War, especially issues of Francoist repression during and after the war, articulation of memorial spaces and integration of anti-Francoism in school curriculums. The autonomous communities have done a lot of work, especially in Catalonia, Andalusia, Euskadi, Navarra, Valencia, the Balearic Islands, etc. but perhaps it would help a powerful tool to develop and strengthen public memory policies at the level of the entire Spanish state. At a national level, there is still a long ways to go and much room for improvement regarding this topic. Yet as noted, various regions of Spain have taken it upon themselves to adhere to the Historical Memory Law and provide support to victims. Catalunya is one of the regions where this is most apparent, with initiatives being carried out like the museum that Serranos works at. Yet the issue of Catalan independence continues to smolder, with the leaders of the movement still imprisoned even more than a year after the held elections to separate. Many say that the Spanish Civil War not being addressed for so long has contributed greatly to this. And it is easy to surmise when you consider that the Catalan Independence Movement took place during the war, resulting in Franco abolishing Catalan autonomy in 1938. Above Image – At the site of a mass grave, relatives of victims who dissappeared wait to give DNA samples. Read more in Narratively’s article, ‘Chasing the Ghosts of Franco‘, a photographic essay by Alvaro Minguito. Today, when travel and war are mentioned together, it’s usually in reference to war tourism, which is actually on the rise. This type of traveling that can include present-day war zones, appealing to adrenaline seekers, also refers to visiting past historical war and military sites. The latter is becoming the case in Spain and we’re seeing the emergence of tours of Spanish Civil War bunkers, battle fields and bomb shelters (like the one in Valencia). While the topic of war in general can be discussed in the context of history, it gets more difficult to talk about when it’s more recent and still so closely affecting people, society and politics. This is the case in Spain today, and has been for some years now. So, in addition to a possible love of history, why should you as a visitor and/or expat in Spain, learn about the Spanish Civil War? It will differ based on if you’re visiting or living here, and maybe the amount of time that you’re visiting. If you’re living here, then most likely you will easily and naturally learn about the Spanish Civil War and can benefit from that. In both situations though, there can be plenty of opportunities to come into contact with the topic. American expat Mickey Neeley, who I quoted earlier, answers that question. “You can certainly enjoy Spain and its wonderful people, architecture, landscape, food, and beaches without knowing much Spanish history. Many expats and tourists are perfectly fine to see the important sites or spend their time soaking up the sun on the beach. And that’s okay if that is what you are after or is the break that you need. Spain, and the resort areas in particular, is a wonderful place to get away from it all. But every country’s history is a rich tapestry of people and events that produced the current version of their society. If you dig a bit you might find you enjoy the experience of traveling even more. The Spanish civil war was a tragedy for all of Spain and its effects are still present. For many of us as travelers or expats, this has us revisit the question Why do I travel?. And ultimately, whether or not to learn about the Spanish Civil War can depend on each person’s way of relating to Spain. Some wonder, what can it hurt to let things lie and leave them be. But I think that major government and societal issues in Spain are where they are today, exactly because the Spanish Civil War has not been addressed. Continuing to take the approach of silence only allows for continued oppression and will only make it worse. Addressing it is the path to progress and healing. How Spain chooses to proceed about this contributes to the direction and greater good of our world, just as the choices of every country does. Let’s continue to learn by traveling and/or living abroad. These are vehicles to experience other countries and cultures, deepening our awareness of our effect on each other and our innate value and human rights. By learning from history, we can equip ourselves to not repeat our mistakes. When visiting Spain, being more aware of this topic is the best place to start. And if you have opportunities to talk with others about it, listen more than anything. It’s especially the locals who need to be heard. Our friends, travel influencers Eulanda and Omo of Hey! Dip Your Toes In, experienced this first hand when they visited Catalunya last year. Above Image – Click the image to read on Instagram about their experience listening to a local. Realize that it’s also about enriching your experience of Spain. Follow this topic in news sources that you trust, and when visiting, open up to recognize this topic in the monuments you see throughout the country, museums you can visit, and tours you can take that are based on the Spanish Civil War. And if you want to do even more, consider getting involved with, or donating to, the organizations that exist to further uncover and address issues related to the war. The Association for the Recovery of Historical Memory (ARHM), the International Brigades and the Asociacion de Amigos de las Brigadas Internacionales (AABI) which is based in Spain, are three such opportunities. But above all, there is something that each of us can do, whether visitor or expat. We can hold Spain’s government accountable for transparency and the upholding of human rights in direct correlation to the Spanish Civil War. How? Learning, being aware, and sharing related personal stories, are a powerful place to start. What are your thoughts about the Spanish Civil War? 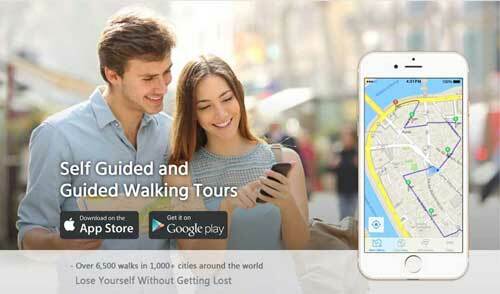 As a traveler or expat, are you interested in learning about it? Join the discussion below in the comments. I want to thank everyone involved for allowing me to interview them and taking the time to share their valuable perspectives. Your knowledge and sharing on this topic is deeply appreciated. A highly recommended book for great reading on this topic. A 2 episode series on BBC Radio 4. A recent article on The Guardian. A recent article on CNN. A photographic essay on Narratively. My ongoing blog series that traces my family’s history through the Spanish Civil War and further back to the First Spanish Republic. I love traveling and tend to be a slow-traveler, taking time to enjoy places and especially the local culture. ‘Eating and drinking’ my way around a new place and meeting the people, is how I love to travel. Enjoy my other writings and published poetry on my site AmaliaVida.com. Excellent article! A testimony of the struggle in Spain´s hidden past and the continuing fight to claim honor for their unsung heroes, innocent victims, rescuing them from the injustice of forgetfulness and the indifference of a nation that won´t ever find peace until they deal with their dead. Thank you! We’re so glad that you enjoyed it, and you summed it up very well. We also feel that it is something that cannot be silenced or held back, as much as some have tried. History and time and our human nature exist to know and share our stories and what is important to us. Again, we appreciate your insight and reading the article, and especially your personal knowledge and personal experience with this. An interesting and thoughtful article Amalia. My only additional comment would be that the current General Election campaign (voting is on 28th April 2019) is exposing all the same tensions again. The PP party is opposed to Franco´s exhumation. They are behind the refusal of many smaller towns to help exhume mass graves; yet Spain has more mass graves than almost any other country except Rwanda, according to one UN report. Pablo Casado, the new young leader of the PP, is afraid of losing voters to the even more right-wing Vox party, and says that the socialists shouldn´t look back, only to the future; that they are more concerned about the dead than the living. With this attitude any possibility of cross party support for some kind of “Peace and Reconciliation Commission” along the lines of that held in post-apartheid South Africa, seems a long way off. Neil, thank you so much for reading the article and contributing you’r very helpful insight. We agree that the voting coming up is major evidence of tensions related to the Spanish Civil War. We’re so glad that you brought this up, since we didn’t try to cover all details in this article. It will be interesting to see what takes place next with this election and we certainly believe that it is possible that looking to the future can and does require paying attention to the past. What would be nice, if is the PP and similar leaders would see the people who in this present moment are right before them, asking for closure about their family, for support of their right to know what has happened to family members, and to be treated fairly. These people are their present and their future too. Thanks for sharing! Amalia, I have read your latest post with immense interest and attention. I have been reading and watching movies that speak about the Spanish Civil War for years as this topic for some unknown reason has been of great interest to me. As of late, I have read two books that you or anyone might find of great importance, as they are very well written books. Spain in Our Hearts: Americans in The Spanish Civil War, 1936-1939. By Adam Hochschild, and Homage To Catalonia. By George Orwell. Additionally, I have read many of Hemingways novels, including For Whom The Bells Tolls. For the longest time, I believed that the Spanish Civil War was a proxy war but after reading Hochschild’s book as well as other selective readings it does not appears to be the case. It seemed to be more of an experimental training ground for Hitlers launching ground into WWII. The USSR intervention was more of an opportunistic intervention rather than a cause, as the Russians walked away with all of Spains Gold Reserves while providing the Republicans primarily with nothing more than obsolete weaponry to fight the Nationalists. On the other hand, the US “neutrality” wasn’t all that neutral after all as many American Companies supported the Nationalists cause. In all, Republican Spain had no international support other than the traditional band of romantic “freedom fighters from around the World. Spain was seen by many countries as the last stand against the spread of Communism. I resently listened to a report from National Public Radio (NPR) that Spain had more mass grave sites than those found in Cambodia during the Khmer Rouge regime. Thank you for sharing. Hi Lionel, I had a feeling that you would find interest in this topic and am not surprised (and encouraged) to hear of how extensively you’ve studied it. Your insight of important aspects of it is especially helpful. Thank you so much for sharing them here and joining the discussion. I’ve also read Hemingway’s books related to this and the other two that you mentioned, but it was years ago and I feel that I need to re-read them again. Since you like studying this topic, I would also recommend the book ‘Ghosts of Spain’ by Giles Tremlette, a great read on its influence of current day Spain. Thanks for reading and especially for commenting and sharing your valuable knowledge as well. Look forward to discussing this more with you. The Gallant Cause Canadians in the Spanish Civil War, 1936 – 1939 By Mark Zuehlke. Additionally, I will be reading my Hardcover book about Lyndon B. Johnson. We recently visited his Presidential in Austin, Texas and I was completely fascinated. I knew about him and his legacy, but it was a different experience seeing his story and learning about him. I also read one of your sister Angie story and time in Barcelona. She also talks about your dad and grandfather, very impressive. Pat and I will arrive in Spain this upcoming Wednesday and we are ready for our two months adventure and finding a new home!!! We will see you guys soon! I really enjoy reading about you and Ericks postings. As a Horchata lover, I am ready for some good Horchata!!! I enjoyed your Blog about and video about Horchata Valenciana and a drive there will be a MUST! Again, I can’t tell you guys how much I appreciate your contributions about valuable insights and travels in Spain. Thank you! Wow Lionel – thank you so much! I’m intrigued by your other readings and learning about Lyndon B. Johnson. I can see that you’re an avid history lover. We’re also very excited for you and Pat to set off in just a few days to come to Spain. It’s going to be wonderful to meet you both and we’re so looking forward to it as well. Definitely make it to the L’Obrador Horchateria in Valencia. You’re in luck too because they re-open this coming week I believe. Just in time for your visit 😉 . Oh, and Angie is actually my mother, not my sister. People do say we look like sisters, since she seems to never age! Thank you again for continuing to read our posts and for your stimulating discussion and contribution of your thoughts and knowledge. It’s why we do this. Let us know of anything we can help with while you’re traveling and, as they say here in Spain, buen viaje! We will see you soon and most likely chatting here in the meantime.